Nakul, a fifteen-year- old boy from Delhi who has been raised with a silver spoon, visits a quaint little village in Madhya Pradesh. The crudeness and modesty of the village changes how he perceives different aspects of life. There he comes across Prakash, the son of a paddy farmer, who is the yin to his yang – their contrasting ideas on life fail to stunt the growth of their nascent friendship as ultimately it is their exuberance and a taste for adventure that bring them together. In the midst of their tale is the charming and talented Aakanksha who lives in the shadow of a spotlight. She goes through the motions of life according to the perceived ideals of society, consistently feeling a void, for she lacks a genuine friend. 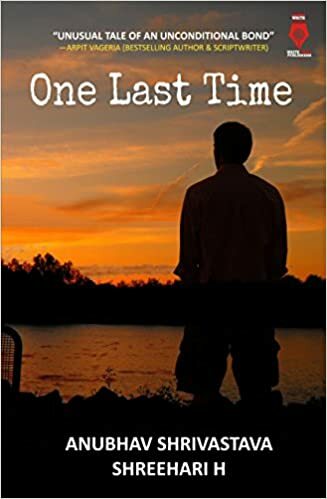 One Last Time is an eclectic and delectable fusion of Nakul’s superficial urbane sensibilities, Aakanksha’s confounded solitude and Prakash’s rustic but sagely naiveties – one that will change their destinies forever. There are books which are a short read and they leave you with this feeling of innocence and nostalgia. This book is amongst those. The book seems effortless cannot be said it is co-authored.. Language is easy to understand, few hindglish words also brings in a home effect to the book. The cover is really natural and beautiful. Blurb gives you the basic idea about the story plot between the friendship of nakul, prakash and akanksha. The book has alot of lines which are gut hitting and is relatable in all of our lifes from time to time. It shows the poigant beauty of friendship and the power which holds us all through tough times. themes covered are friendship, childhood to growing up and making decisions.The title goes along the story to. The story is written at the school time of the characters. The characters have been described in place and less characters are present. The narrative of the story is also slowly folding. The conversations between the characters is also beautiful. Nakul is a slow learner, untill he visits bhadroli and makes a new friend(prakash) who teaches him about life and in return prakash also makes him love little things about life. Akanksha also helps them both. you will really love the innocence and the story. The simplicity of the book really weaves magic. pace is slow. hooks the reader to the story. Cover – a mystery, blood and crime about the incident that reveals with time slowly. Title – colours of passion tells about the double faces, situations that may lead to unravelling of a beautiful lie. Characterization was okay for a few characters not much description was given. The story majorly revolves around hiya’s death, Mayank, and Manav. The last few pages really reveal the human nature and the consequences of hiding a lie. How love can blindfold and not being the true you can lead into a lot of loophole of troubles. Language is easy to understand. The start of the novel is slow, building and is a page turner. Dramatic. A lot of relatable lines are also given in which a reader will feel through. The story has been thought about and put up. The twists and turns takes you by surprise. Hiya seemed like a little less important by the end of the book and it becomes more about Manav. The story has been put up in acp’s point of view and also what kept happening before in hiya’s life. The ending is written beautifully. An amazing effort to put up a book in this genre. BLURB – “It is weird that I still meet my mother almost every day. I am 35 years old. But that is not why it is weird. It is because nobody else has seen her since 18th September, 20 years ago. Meet Ria, the charming woman with an edge. Her life is nearly perfect. Or so it seemed, until one fateful day an accident wipes out parts of her memory. Suddenly, she starts to experience strange visions involving repressed childhood memories which send shivers down her spine. A man called ‘Anuj’ whom she can’t remember. The sadness that led to her mother’s sudden death. Answers that her husband Jay refuses to share. Secrets begin to resurface and Ria is left with no option but to confront her own fears. 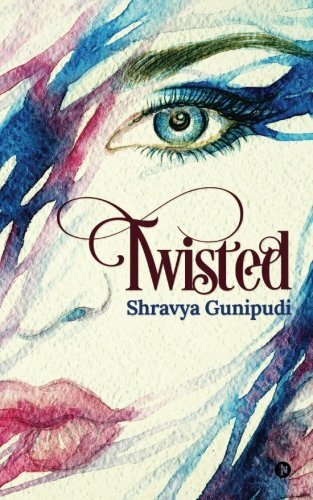 Twisted is a tale of love, family and friendship, where bitter memories and shocking truths drive everyone to the point where they have to decide – Will the relationships crumble to dust or can love really conquer all? 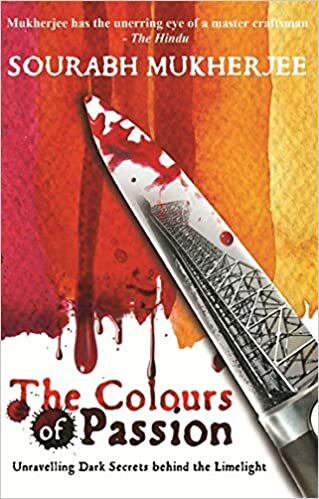 Cover – it is colourful and definitely attractive, giving an insight of the title as well which goes on well with the story. Pace -medium paced, the last few pages will make you think. Blurb – it is just the superficial covering about the book and there is a lot to the book more than you think. Plot – it has nice twists and turns definitely. The prologue is really beautiful and slow. There is slight funny moments in the book too. Themes covered- love, revenge, psychological trauma. The book felt stretched in the middle. Two conversations keep happening of her mother and hers whom she still keeps on seeing even after being her dead for her while. Her head has played with the memories of her and has hurt her and the one’s who are close to her too, will she cope up? Does she have a happy ending? It is a dramatic book that you should enjoy with coffee. A lot of lines from the book are relatable like ‘realizing that there is no point stressing over something that I have no clue about. ‘ and many more like these. The last letter is about her giving her part of the story. “Poems are the art of the heart. I have written them with a passion arising from the bottom of my heart. I hope they touch your hearts too and evoke feelings similar to those in my heart. These Poems deal with Love, Life, Death, Time, Space, God, Soul and various other topics in depth with Rhythm and Rhyme. cover – Of a sea , calm and blue with serenity and simplicity. title – just like authors poems to us, this book is a collection of poems to myself. variety of themes are covered in each poem. Before a few poems idea about the poem is given which really helps all the readers to connect better to the poem. small to long poems are given in the book. This book felt more connecting than the previous one as it is based on a persons life and view. More rhymes are seen in this book. a light and freshing read. The metaphors and imagery has been put up beautifully. Introduction ‘Us’, what does it mean? Many think of it as a collective consciousness. But only the word ‘Us’ is not enough to put us in close touch with everybody in the society in which we live. For, well and truly we differ subconsciously and also consciously from one another. Thus, the actions undertaken by men and women under different frames of mind with their dreams and feelings, all form the spine of this book. ‘I’ have written poems about ‘Us’, but I cannot do complete justice as I can’t be the ‘Saksin’ or ‘Witness’ within others and hence know them only partially from outside however deep I may dive into the vast open seas of their lives. ‘I’ can also be found in the poems about ‘Us’ for I should be the first one to be understood to understand my poems. In Other Words,Poems add beauty to the monotonous prose of life making it pulsate with the happy drumbeat of life’s myriad emotions. I have tried to capture these various emotions in my poems in this book by looking at life from a perspective of ‘Us’ rather than ‘I’. For, it is ‘Us’ in between whom emotions take on various colours and influence the ‘I’. cover – The cover depicts about the poems we all need at this very hour for humanity and how we all need to stand together in this. We all need to save our mother earth. Title -It tells us how we need poetry at this hour and nothing else can heal us right now except for art. 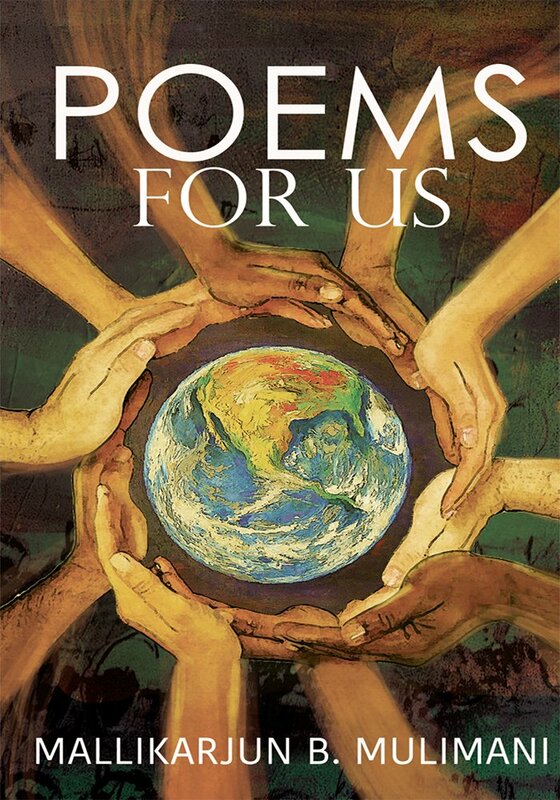 Themes covered – The poems range from seasons to tree, life, society and personal issues. some poems are 2-3 pages long. Some poems are in blank verse and few are in rhymes. You need to read the poems carefully to understand the roots of the poem the poet has told us about. Some poems are easy to understand. The book is an amazing coffee read with alot to relate with. 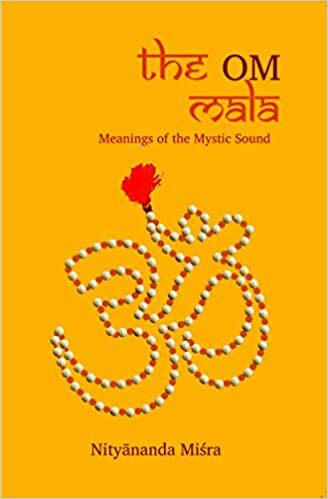 The OM Mala – Meanings Of The Mystic Sound :by Nityanand Misra. The OM Mala is a book (and a mala) which explains just one word-OM. OM is one of the shortest Sanskrit words, and yet is considered the most powerful word and a mystic mantra in Hinduism. The OM Mala gives eighty-four names of OM as per classical, epic, and medieval Sanskrit texts and explains their various meanings in 109 sections or beads, corresponding to 109 beads in a mala (108 chanting beads and one ‘sumeru bead’). Each bead of this book presents simple meaning of one name (or more than one related names) of OM and offers an explanation along with listing the relevant traditions, explaining the etymology, and quotations. The book includes rare names of OM like ‘shrutipada’ and ‘rasa’ as well as its common names like ‘om’, ‘udgitha’, and ‘pranava’. Both popular meanings of OM (like the trinity of Brahma, Vishnu, and Shiva) and its rare meanings (like inhalation, holding the breath, and exhalation) are included. Nityanand Misra is an IIM Bangalore graduate who works as a quantitative analyst in the investment banking industry. He is passionate about Indian culture, especially classical and medieval Indian literature, classical and folk Indian music, and traditional fine arts and performing arts of India. He is an amateur researcher, editor, and author in the field of Hinduism and Indology. He has edited, translated, or authored seven books so far in Sanskrit, Hindi, and English on Hindu religion, philosophy, and spirituality. He designs and typesets his books himself. Some books leave an impact on you and this book is definitely one. Starting off with the cover -it is smooth matte finish with om sign over it with beads on it. Bright yellow depicting hope and aura of om. The title also suggest about the meanings and explanations of om in life and to it’s depth. 108 names have been referred to om such as life, destroyer, birth, breathe, sun. The author has definitely inculcated simple language for everyone to understand every aspect of om. The author has divided every bead/mala into meaning,explanation, tradition,etymology and quotes found in the veda literature. It is definitely for somebody who is into mythology and wants to know more about it. The language is simple yet contains it’s depth very well. Sanskrit, hindi is a beautifully explained. While reading you will also know maths has also been a integral part to a better understanding about our culture. The book really amazes you knowing how many meanings there is to OM. A book which will make you learn alot of things about our culture. This book is unique because not alot of people know there are so many names to om. The book as a whole is also a beautiful experience.